Bug Out or Bug In? It Could Mean the Difference Between Life and Death. Many people already have it in their mind that they will bug in or bug out. The choice isn’t that cut and dry. You should be prepared to bug out or bug in based on the situation. Similarly, a group of like-minded people could all bug out to a predetermined location. This would benefit those who cannot find other preppers in their local area. Bugging out is the only way to escape an event that is directly affecting your bug in location. In my mind, the disadvantages of bugging out far outweigh the advantages. When you bug out, you give up everything that you cannot take with you until you arrive at your bug out location. Your bug out location needs to also be stocked or you will still only have what you brought with you. Deciding what to take can increase the amount of time that it takes to bug out. A solid checklist should be part of your bug out plan. Most people will try to bug out after it is too late. If bugging out is your plan, then you should be ready to leave before a major event occurs. Trying to time this could lead to false alarms or not leaving early enough. Roads could easily get bogged down with traffic, leaving you stuck on highways and access roads. If this happens you could end up unable to get to your bug out location and unable to return home. When you bug out in a vehicle you’re reliant on fuel. Bugging out on foot is limited by your physical abilities and what can be carried. 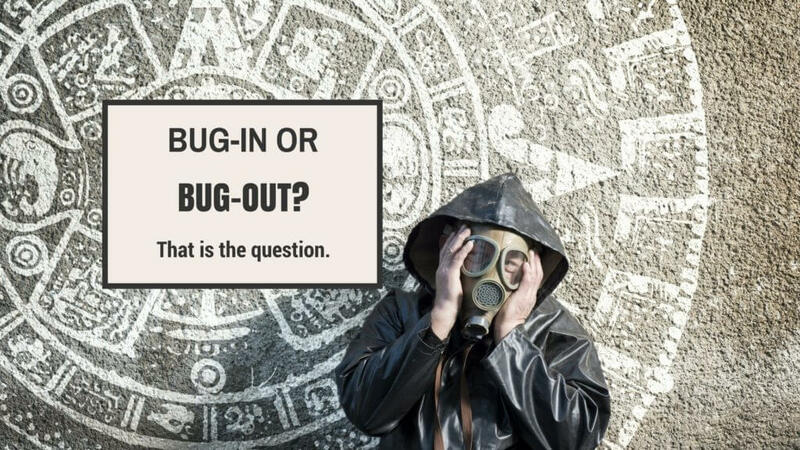 If this has helped you choose if you will bug in or bug out, let us know in the comments below.